Solar PV modules were said to have been over produced in 2011 through 2013 and as a result, prices dropped unrealistically low. Then there was this 'dumping' of cheap modules from China that caused the trade dispute between western nations (especially US) and Asia. Research service provider GTM Research noted however, that 2014 is going to be the PV market's tightest supply year and expect higher pricing. 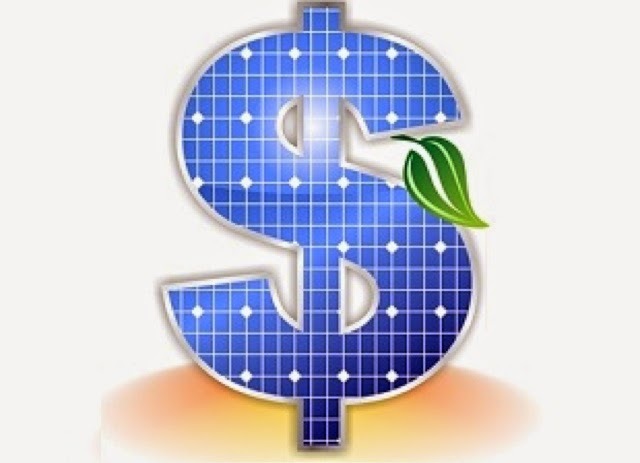 GTM Research expect prices for solar PV modules delivered to the US by Chinese suppliers could increase by as much as 20% by the end of 2014 due to supply constraints, rising input costs and the ongoing US-China solar trade case. The primary driver behind the likely price increases, according to GTM Research, is the ongoing US-China trade case, which has already led to import duties on China-produced solar cells. Further duties on China-assembled modules as well as Taiwanese solar components would push up US pricing beyond current levels, as Chinese firms pass tariff-induced penalties onto customers, or resort to contracting out cell and module production to OEM vendors based in higher-cost regions such as India, South Korea and Malaysia. 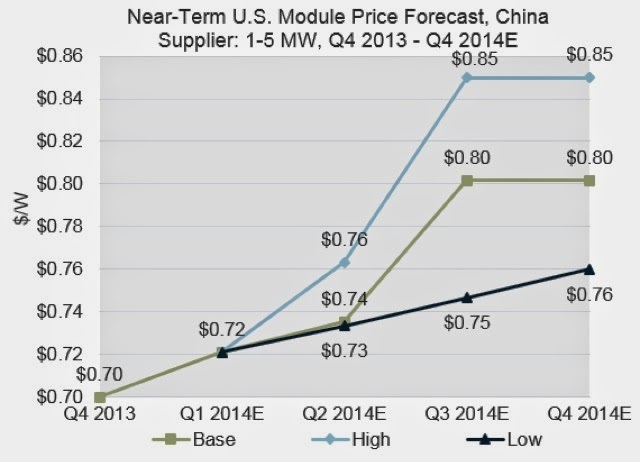 With Chinese suppliers shipping almost 3 GW of modules into the US in 2013, this development could result in meaningfully higher solar costs for US-based developers and their customers. Global polysilicon spot pricing increased 15% quarter over quarter to $21.20 per kilogram at the end of Q1 2014. Q4 2014 base-case forecast estimates polysilicon prices reaching $24 per kilogram and wafer prices 26% per watt. Pricing for Japanese modules in the Japanese residential market is still as high as $1.50 per watt, but has fallen below $1 per watt in the commercial segment. The full report can be found at GTM Research. TheGreenMechanics: Malaysia has several China-base solar module manufacturers, or factories that are co-owned by Chinese investors. The US pricing may not affect us directly but it is a good indicator of how the future of global solar PV industry is shaping up. If you are in the solar supply chain (manufacturer, exporter/importer, project implementer, end-user, etc), this should be a good read.